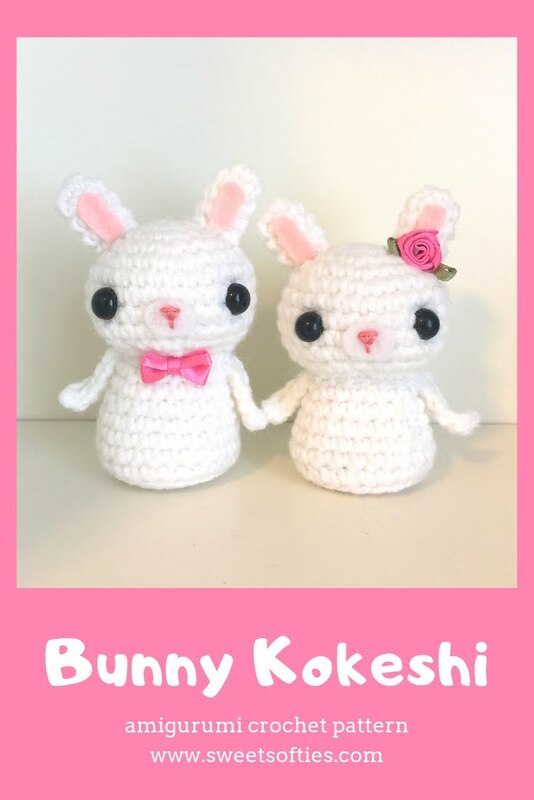 The Bunny Kokeshi Couple Pattern provides instructions for crocheting a sweet, loving rabbit male and female pair that is fast and easy to crochet. These cute, miniature bunnies can be customized using different colors and accessories. They serve as great anniversary or friendship gifts for spouses, lovers, husbands, wives, boyfriends, girlfriends, and even friends! I made this adorable pair for an equally-adorable couple! They have so much love for each other, and I know these little ones would be cherished in their home!